Mindfulness is about paying attention to the present moment in a non-judgmental way. The practitioner learns to avoid dwelling on the past or worrying about the future. This can be difficult, especially for people suffering from anxiety and depression, but, if achieved, it can bring lasting relief. NHS mental health services are increasingly offering a therapy called mindfulness-based cognitive therapy (MBCT) which is, as the name suggests, based on mindfulness skills. MBCT is an evidence-based group therapy. It combines training in mindfulness skills and practices with cognitive therapy (learning about managing and changing one’s negative thought patterns). MBCT seems particularly effective in reducing the risk of relapse for people who have had three or more episodes of depression. Research on MBCT is improving in quality and scale, and we are starting to learn how mindfulness practices and therapy work in alleviating depression symptoms. Despite this, some people remain skeptical of mindfulness in general and MBCT in particular. 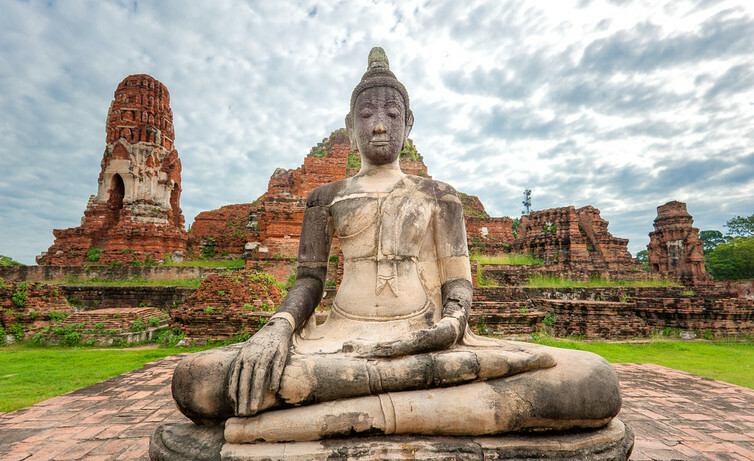 Those who see mindfulness as having been corrupted into a therapy from its Buddhist roots may take issue with mindfulness, as might those who incorrectly think it is just meditation. To the first argument, I would suggest that when ideas cross boundaries, it’s likely that everyone benefits. Surely Buddhists are pleased that their practices are being used to relieve suffering. However, it is important that clinicians ensure that mindfulness is practiced as intended (which links to the second point about mindfulness not just being meditation), and it helps that people who understand the origins of mindfulness continue to scrutinize therapeutic approaches labeled as “mindfulness-based”. There is a difference between MBCT, a tailored and researched package of therapy based on psychological theory, and “mindfulness therapies”, which could cover almost anything. Other critics (correctly) point to research studies that show no significant benefit of MBCT over antidepressant drugs. The presence of studies showing similar outcomes for people receiving MBCT and people taking antidepressants could be seen as a reason not to favor MBCT. However, for some people, developing skills to enable them to ward off depression might seem preferable to taking medication for long periods. There are now robust studies showing beneficial effects for MBCT in preventing depressive relapse, particularly for those who have had multiple relapses in the past, and those who have experienced childhood trauma. What about the mechanisms behind MBCT? How does mindfulness training reduce depression? First, as we would expect, MBCT is meant to increase people’s mindfulness skills – non-judgmental acceptance, being able to see thoughts as just thoughts rather than as commands that have to be acted on – and people who rate themselves as having higher levels of mindfulness skills at the end of therapy are at less risk of relapsing than those taking antidepressants. Having these skills helps people notice their own tendencies to fall into negative thinking cycles, and then to be able to stand back rather react emotionally to them. Beyond this, there are indirect mechanisms of MBCT affecting depression. “Indirect” means that MBCT changes a way of thinking or feeling, and this change then reduces the risk of depressive relapse. Indirect mechanisms may include reducing emotional reactivity (how quickly negative thoughts and feelings are triggered by current events), repetitive negative thoughts, de-centering (the ability to consider multiple aspects of a situation) and rumination. These mechanisms are being investigated in increasingly rigorous studies and the early signs suggest that a deeper understanding of how and why MBCT works to alleviate major depression may not be far away. By Sarah McDonald, Clinical Psychologist and Research Fellow, University of Nottingham. This article was originally published on The Conversation. Read the original article.